The Ritz-Carlton Yacht Collection has revealed more details on its accommodations and amenities ahead of its February 2020 launch with its first 298-guest vessel. The suites will be forward-thinking, the company said, blending elegance and a warm, inviting atmosphere. Created to feel like a private yacht, the vessel will uniquely feature one designer, resulting in a unified flow of design which is refined, relaxed and unlike any other accommodations at sea. The interior design of the inaugural yacht was imagined by Tillberg Design of Sweden in collaboration with The Ritz-Carlton. The ship will also feature several loft suites, a unique two-story accommodation that is ideal for in-suite entertaining. 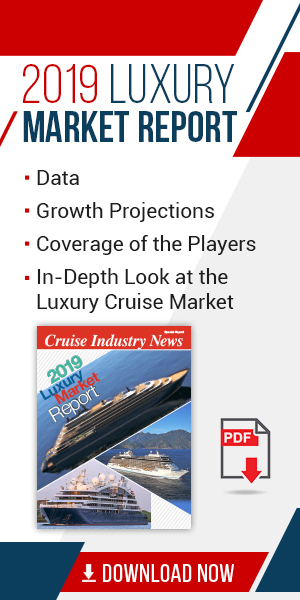 All suites will feature a private terrace, floor to ceiling windows and great ceiling heights, resulting in some of the most airy and expansive guestrooms in the luxury cruise category, the company said, in a statement. Through a soundproof, blind wall, select suites also have the option to be combined into larger, open-concept spaces allowing for more flexibility when selecting accommodations. All suites feature the luxurious amenities that visitors would find at a Ritz-Carlton on land. Each suite will have access to a Personal Concierge. The voyage will be an all-inclusive luxury experience including onboard activities and entertainment, beverages, multiple dining venues, onboard gratuities, WiFi and watersports from the yacht’s marina. Signature experiences available for an additional fee include a culinary experience at the yacht’s specialty restaurant designed by three Michelin-starred Chef Sven Elverfeld of The Ritz-Carlton, Wolfsburg, spa treatments at the signature Ritz-Carlton Spa, and immersive excursions offered through The Shore Collection.